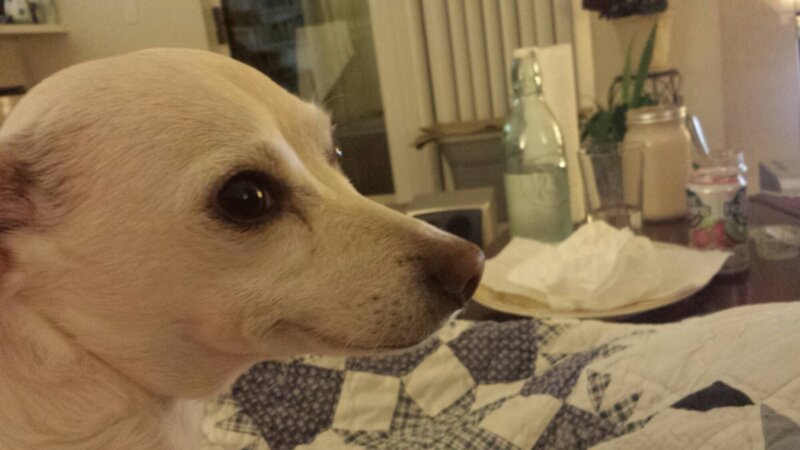 puppies | Hot vegan chick.....peas! 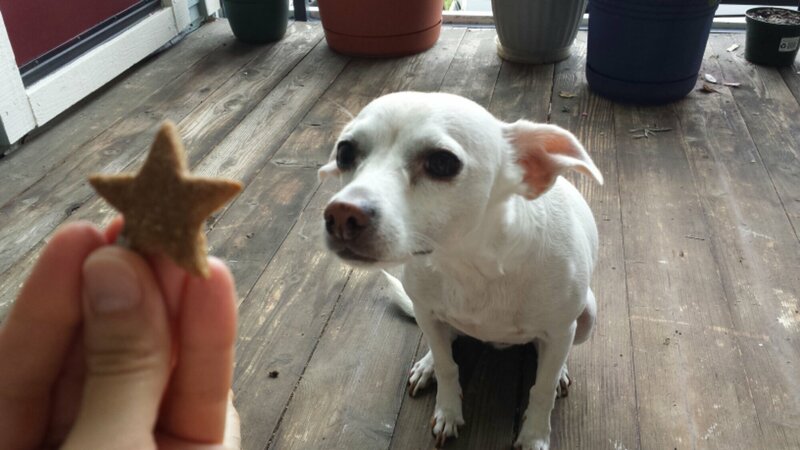 As I was flipping through my copy of Chloe’s Kitchen this weekend I was reminded of this recipe for dog biscuits that I had earmarked ages ago. They are so easy to put together and I was able to bake a batch while I made pancakes over the weekend. 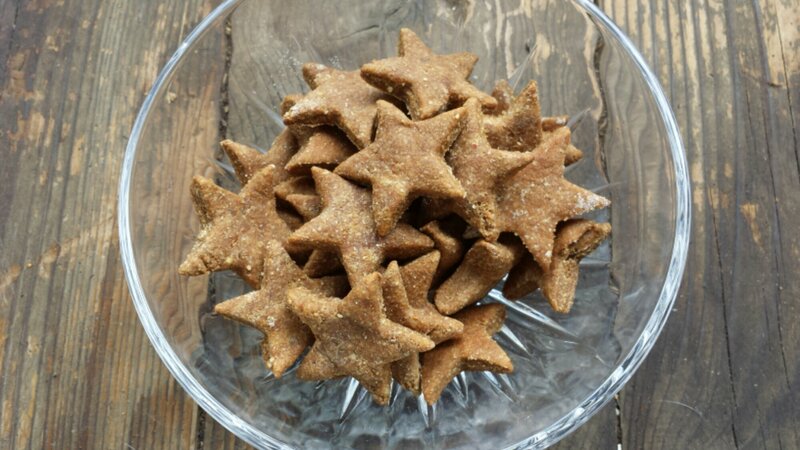 Since my pup Rhodie is pretty picky when it comes to treats I only made a half batch, which still makes a lot! The recipe is super simple–just whole wheat flour, peanut butter, molasses, and water. I doubled the molasses since I was worried he wouldn’t like them and skipped dipping them in carob. I used cookie cutters for about half of the dough, then got lazy and just rolled the rest into balls that I flattened with my hand on the baking sheet. Efficiency ftw! 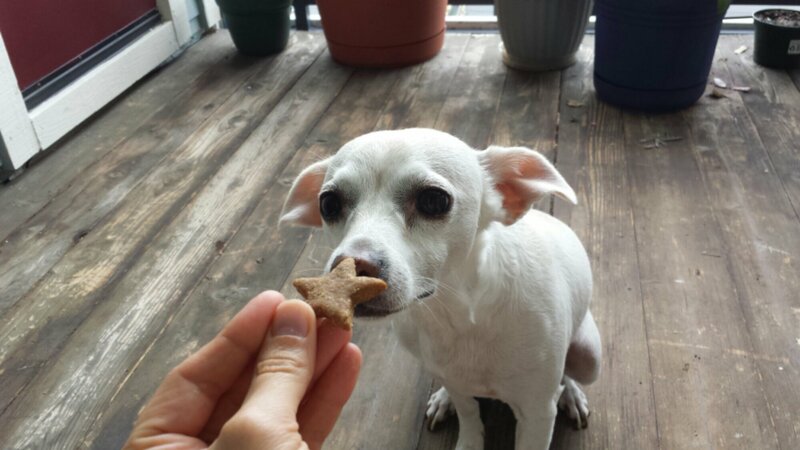 When it came time to taste test there was some initial skepticism but after the first treat he was hooked! Hooray! 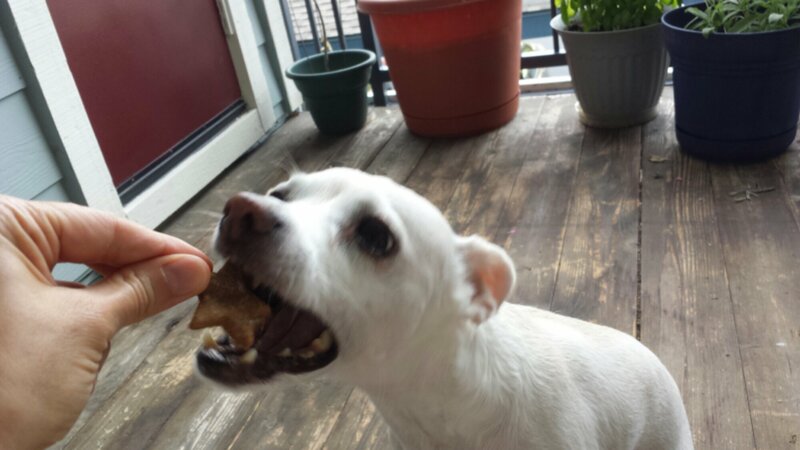 I was so excited and Rhodie was so cute eating his little cookies that I may have given him way too many yesterday. At least they’re healthy! 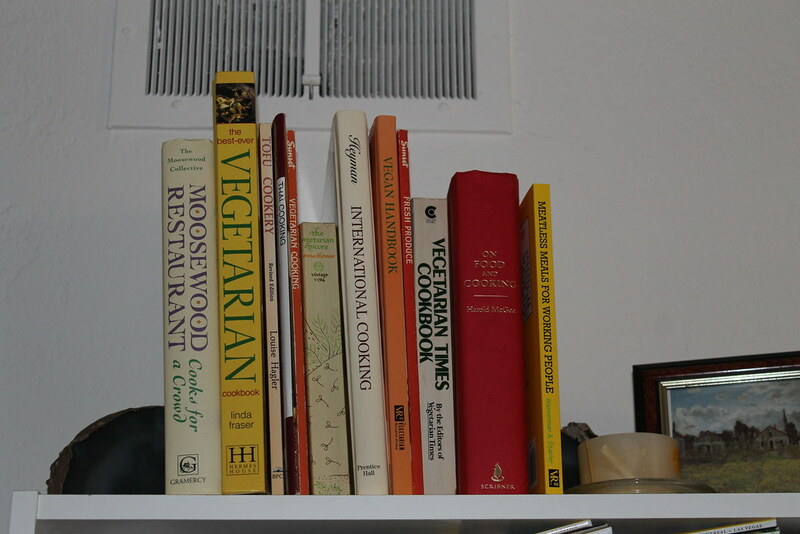 MoFo#11: Cookbook collection…and some veg pup pics! Man, it is tough for me to keep up on my MoFo-ing during the week! When I get home from work I’m way too exhausted to cook or post, especially lately. In tonight’s post, I’ll show everyone my (recently organized!) 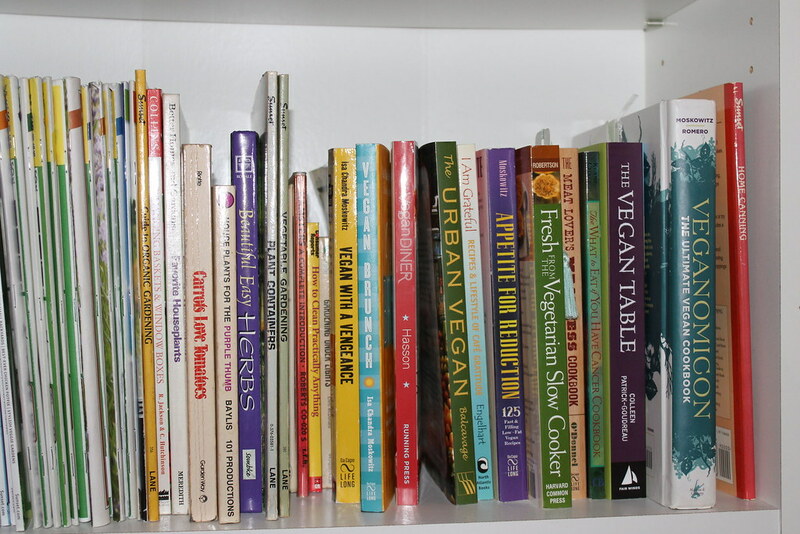 cookbook collection. I got the idea from Carrie, who has an impressive collection herself! This shelf has all my “international” and baking books, along with a few miscellaneous books. 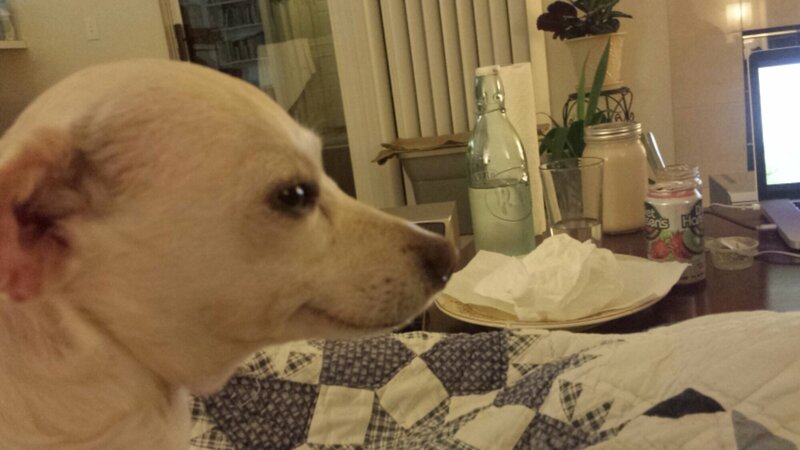 That hot pink binder has all my loose recipes and nutritional info printed from the internet when I first became vegan ages ago. I think the Vegetarian Resource Group’s entire website is in that binder! 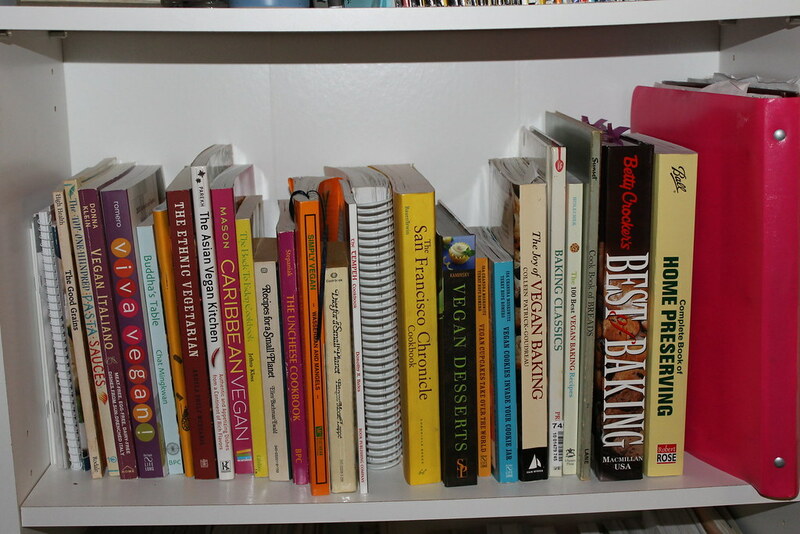 The second shelf has my other vegan cookbooks. 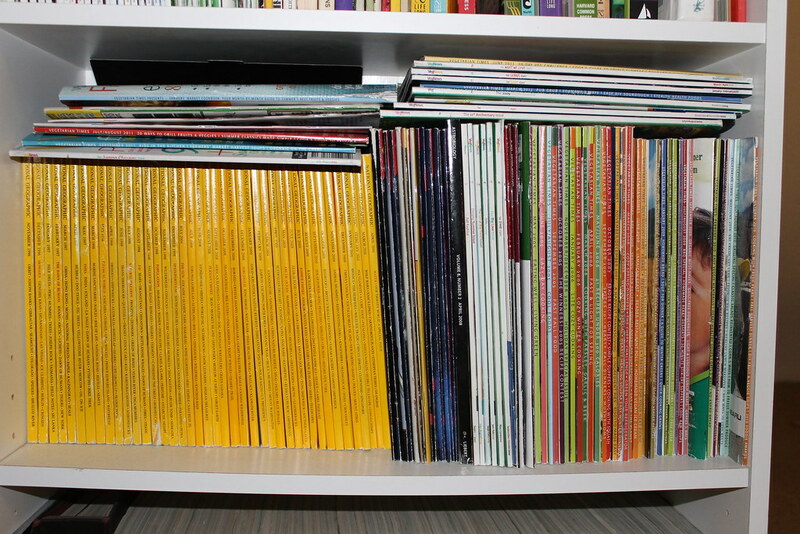 I guess there are some gardening books and my collection of Herb Quarterly magazines too. Oh well, ignore those! Whew! And this is after a recent culling of my collection! 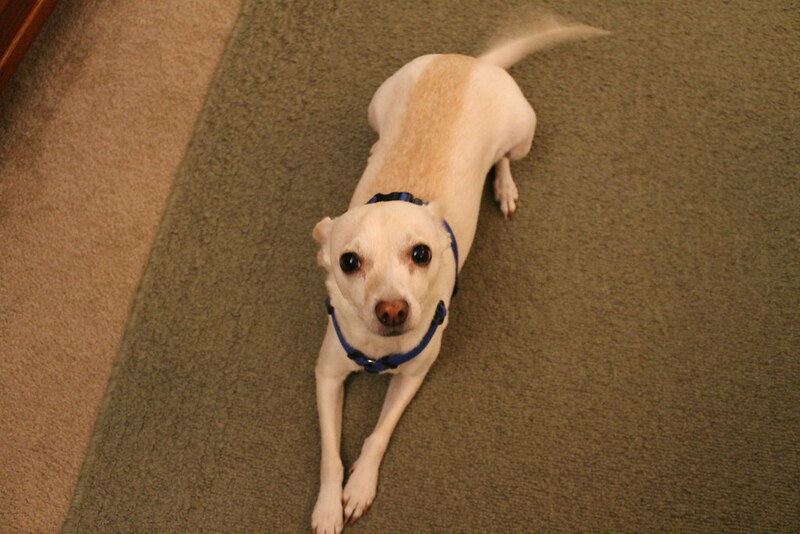 And for your daily dose of cute, here are pics of my furbaby I took tonight! 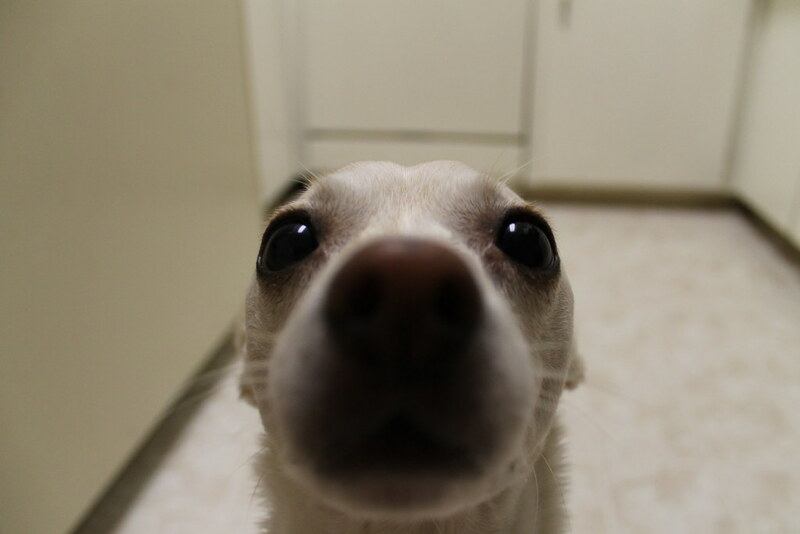 He’s an almost 100% vegan pup!